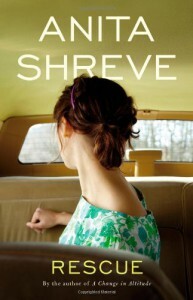 I've never read an Anita Shreve novel and I'm not sure this was the greatest to begin with. Half way through, I almost turned it off (I listened on audio book). I did not turn it off. The end was the best part but I'm not sure listening to the entire book was worth getting there. Also, I'm not a fan of the writing style in this book: it felt as if nearly half the sentences began with Webster this and Webster that.